I've finally made it back to my yellow birds today, and had quite a productive morning. I grew my last sun block until it fitted with its fellows. then I added them all onto the big piece I'd already done. Then, for the umpteenth time I laid out my remaining yellow birds, changed my mind twice and ended up with the chunk that is now in the bottom right corner. All I need to do now is attach the top bird and then this side can be added on. The remaining birds are not so much a well thought out set as the ones I haven't wanted anywhere else, so I'm hoping that they will not take this amiss and that I can piece them together without too much difficulty. If that goes smoothly then I can think about what next. I agree with Yvonne. This quilt top is so warm looking... just looking at it brighten my snowy day. Looking lovely! I too like the words in this, and the overall balanced look is really great! You have gotten your money's worth from the little printing kit! Like everyone else, I love the words. They are just the right touch. BTW how is it that the yellow birds is so close to completion? How did I miss this? It's as if you went from bits and fragments to a big solid piece. Good for you! These really are a beautiful collection of fabrics. It's even harder to get a group to work well when they are such quiet values. I enjoy all the special touches you are adding. 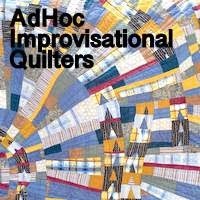 Absolutely smashing, this really is a sunshine quilt. Gonna be gorgeous and so unique. Already great! Very lovely, Kaja!! It exudes warmth! Oh my, this is really growing! I too love the words. And your sun blocks are so fun. This quilt makes me think of the Beatles' song "Here Comes the Sun". It looks like a summer morning!